Our professional insulation services include quality maintenance, replacement and installation. Avoid the health risks and discomforts of poor insulation and call us today for professional check up! You might be thinking about making your home as green as possible. In today's society there are increasing pressures for every homeowner to do their part. You have probably heard of measures like solar panels, solar water heating or heat pumps. These are fantastic ways to reduce your reliance on electricity, but they're certainly not the be all and end all. Before embarking on ways to harvest energy, it can be equally if not more beneficial to look for ways to save the energy you are already actively consuming day to day. Effective insulation ensures your home is prepared to use the energy it creates as efficiently as possible. One of the most important insulation services you can have is an audit of your home to find out which solutions are suitable for you. You can install all forms of solar technology to power your home. 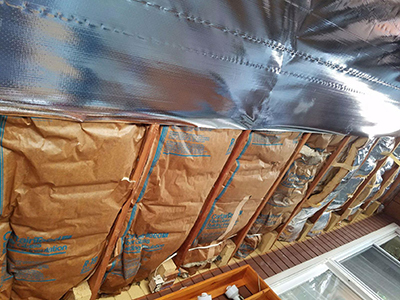 But if you keep inadequate insulation throughout the house, you will still be wasting huge amounts of that energy largely through thermal transference. The heat in your house will always try to escape into the lower temperatures of the climate outside. In summer conditions the heat from outside will try to penetrate into the cooler environment inside your home. Having proper wall and loft insulation will ensure the heat you generate is retained, and drastically reduce demand on whatever energy source you have. For many people, solar energy is attractive for the amounts of money it can save in the long term. Insulation can provide exactly the same benefit if not to a greater degree. One of the largest costs for your household is likely your energy and electricity bills. With updated insulation measures in place you can expect your energy costs to plummet. For many, the savings made can quickly sum up to more than pay for the installation. Air Duct Cleaning Foster City provides ventilation repair as well as expert insulation services, maintenance and installation. Reduce your bills as well as your household's negative impact on the environment! Call us today to arrange a full insulation audit, and to find out which up to date solutions are available to you.